Cardinals’ owner, Bill Dewitt, has paid Holliday a total of $67 million over the past four seasons. During this time, Holliday has collected 651 hits, 148 doubles, 99 home runs, and 374 RBI. According to Fangraphs’ calculation of WAR, Holliday has accounted for 20.4 wins above replacement since 2010. In my opinion, I feel that the numbers I just listed should be enough to show Holliday’s value to the Cardinals, but I realize that he has some really tough critics out there. I figured that these critics probably needed some more convincing, so I took it a few steps further. Well, as you can see, the Cardinals are paying Holliday $3.27 million per one win above replacement. Of the 13 players included in the discussion, only two have been better–Miguel Cabrera (duh!) at $2.99 million per WAR and Adrian Gonzalez at $3.13 per WAR. Some notable names below Holliday on the list are Albert Pujols, Joe Mauer, and Prince Fielder. Also, if you look again, Holliday has the second most wins above replacement on the entire list–behind reigning AL MVP, Cabrera. Another thing to note is that Holliday is 6th on the list when it comes to percentage of games played (89.51%) and is the 3rd most durable outfielder behind freakishly healthy Ichiro and Alfonso Soriano. Considering how violent of a swing Holliday takes and the fact that he plays a position that requires a lot of running, it is pretty unbelievable that a big guy like him has been able to play in almost 90% of his team’s games since 2010. I realize that there are many people out there that are not big fans of WAR, and I completely understand your opinion. However, to me, it is our best way of calculating a player’s overall value right now. Sure, you can look up the standard numbers like batting average, on-base percentage, home runs, etc, but once you start comparing a player’s rank among numerous different categories, you are basically creating your own way of calculating a player’s value compared to others in the league. If that did not make sense, I realize that it was kind of wordy, let’s look at it another way. In my opinion, Miguel Cabrera is one of the best players in Major League Baseball, if not the best. However, I will not say that Miguel Cabrera is the best player in baseball just because he has the highest batting average. Rather, I will see that he also leads the majors in on-base percentage, slugging percentage, OPS, and is in the top five of a slew of other offensive categories. Thus, by creating an argument for Cabrera by combining all of his individual numbers together and comparing them to others–I would basically be creating my own make-shift definition of a player’s value. Holliday-haters, I really hope you were able to read this article. 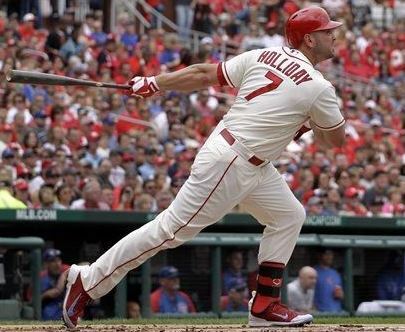 Holliday has not only been one of the most valuable players for the Cardinals over the past four seasons, but he has been one of the most valuable in the entire major leagues as well. 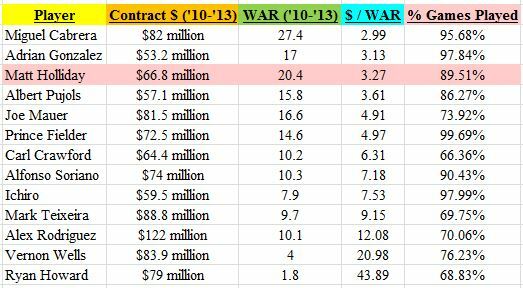 The only players ahead of him in “$ / WAR” are perennial All-Stars, Miguel Cabrera and Adrian Gonzalez. If you still do not like WAR even after my two paragraph mini-digression, then just look back at his standard season averages–.301 BA, .386 OBP, 37 2B, 25 HR, and 94 RBI. For $17 million per season in today’s market, that is an incredible deal for the Cardinals. His nagging ankle injury that ultimately led to season-ending surgery slowed down Taveras’ development in 2013. When healthy, he proved that his bat was AAA-ready. Had he not gotten injured, he would likely be up with the big league squad by now. His future position for the Cardinals still remains unclear–though he is capable of playing centerfield, he will likely end up as a rightfielder long-term. Also, according to Keith Law of ESPN, Taveras is the second best prospect in all of baseball, so this tells me that he deserves the top spot for the Cardinals. Because of the extent of his injury, I expect him to start 2014 in AAA, but he will likely be in St. Louis soon thereafter. Is Martinez’s future in the starting rotation or at the back-end of the bullpen? This is yet to be seen, but the 22-year-old fireballer has a bright future. The future is now, though, because he will likely play an integral role in the playoffs this season. Of all the Cardinals’ pitching prospects, he has the most electric stuff. If he is able to develop a secondary pitch that he can consistently throw for strikes, he will become nearly unhittable for years to come. Considering the amount of arms competing for the rotation next season, he will likely start 2014 out of the ‘pen. Wong was an All-Star second baseman in AAA this season. He is the complete package–hitting for average and some pop, fielding his position, and a threat to run on the basepaths. 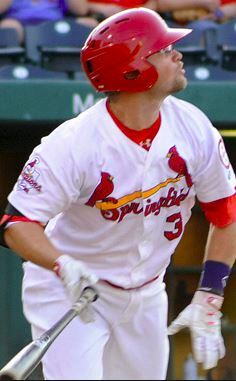 He was called up to be a spark-plug for the St. Louis offense during a rut but has yet to see consistent playing time. He has struggled at the plate in the big leagues, hitting just .148 in 54 at-bats. The off-season will do him well because to me, his swing looks a little out-of-whack right now. 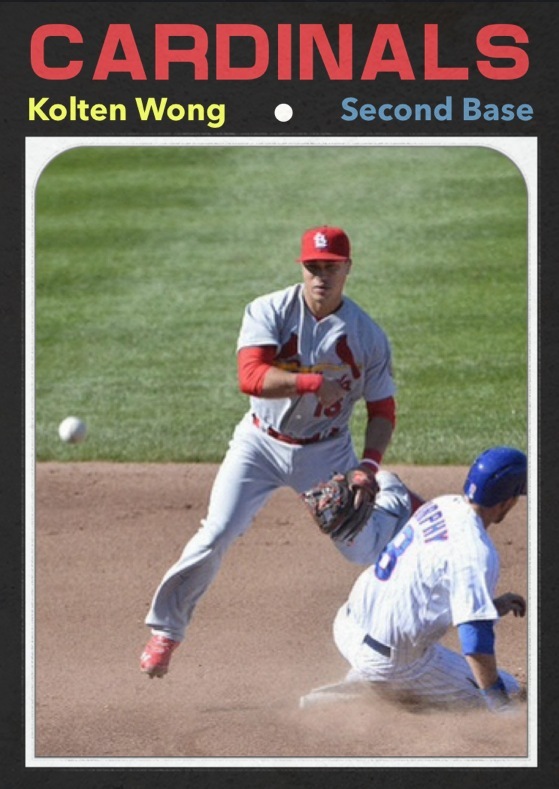 Wong is the future at second base and will likely be the team’s lead-off hitter for years to come. 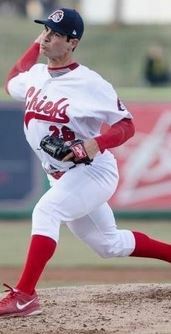 Kelly, just 18 years old at the time, started out the season on the Peoria Chiefs. He struggled mightily, hitting just .219 and was demoted to the Short-Season State College Spikes. His bat heated up for State College and helped lead the team to the championship series. Now 19 years old, look for Kelly to get a second shot with Peoria in 2014. He may be a lot further away from the big leagues than the other members on this list, but in my opinion, only Taveras has a higher ceiling than his. He was one of the most highly touted draft picks in 2012 and has the skills to be an impact third baseman for the Cardinals someday. I look forward to seeing his sweet swing in St. Louis in the future. I have been a fan of Ramsey’s since he was drafted in 2012. Yet, he only had one home run after being drafted, so I was worried that his power was not going to translate to professional baseball. He put my doubt to rest this season by clubbing 16 home runs (15 of them for Springfield). He is an above average defender in centerfield with one of the better outfield arms in the entire organization. To top it all off, he is a great guy and will surely be a fan favorite in St. Louis someday. I think he will start 2014 in Memphis but will likely make the trip to St. Louis by the end of the season. 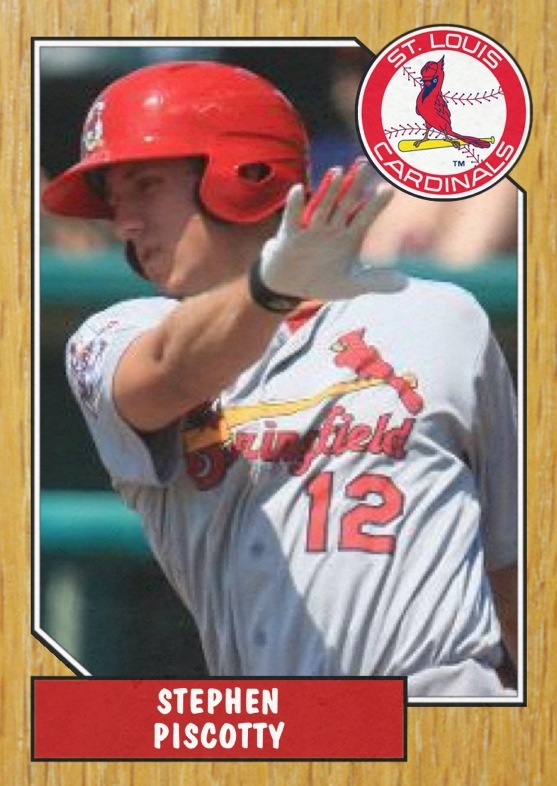 Piscotty started out with High-A Palm Beach and earned the promotion to AA Springfield half-way through the season. The 2012 first-round draft pick out of Stanford did not disappoint at either level in 2013. He was drafted as a third baseman, but he has been able to make the transition to outfield pretty well so far in his young career. Based on his success in Springfield, I see him starting out next season with Memphis. If he continues to develop, he could possibly be a member of the 2014 September call-ups to provide bench depth for the stretch run. 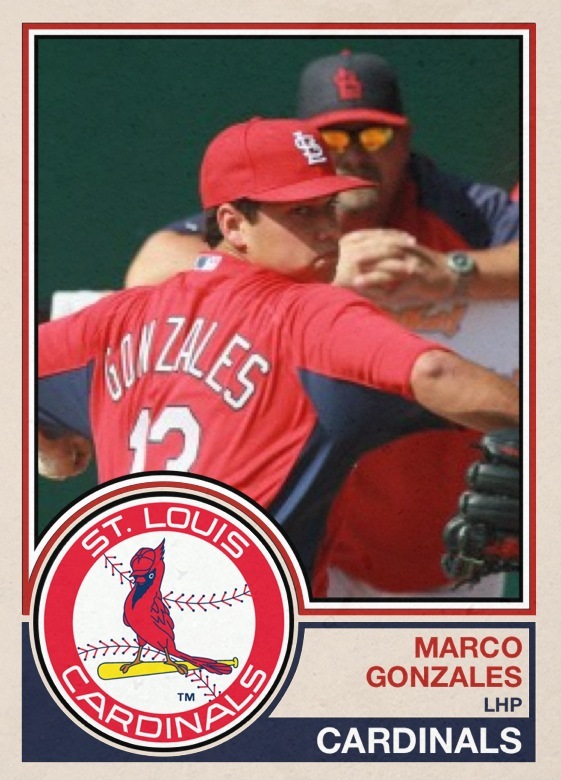 Gonzales is the only member of this year’s draft class to make my list. He is a polished college arm that will likely jump a few levels in 2014. I do not think it is too far-fetched to see him make it all the way to Memphis next year. The young lefty has a bright future, and his rise throughout the minors might resemble that of Michael Wacha‘s next year. He is a name to keep an eye on because he will likely make it to St. Louis a lot sooner than many would think. Tyrell Jenkins, RHP: He injured his shoulder multiple times in 2013, and ultimately, he needed season-ending surgery. If the rehabilitation process goes well, he should be ready for 2014. His stuff is amazing but very unpolished. Because of his inability to remain healthy and the fact that shoulder injuries can be scary, I just could not put him in my top 7. Zach Petrick, RHP: Petrick had an amazing 2013–one that even got Keith Law’s attention. Law said that he could see him being a back-end of the rotation guy in the future. However, Petrick struggled a little bit in Springfield and at the age of 24, he fell just short of making my list. John Gast, LHP: Gast saw time in the big leagues this season and was pretty successful. Yet, he, like Jenkins, required season-ending shoulder surgery. Unlike Jenkins, however, his surgery was on his lat muscle which is not part of the shoulder joint so he should be able to recover completely from the injury. Yet, until he can prove that he has fully recovered, I could not put him on the list either. Rob Kaminsky, LHP: This 19-year-old lefty has a very bright future for the Cardinals. However, since he is still 19 and has a long way to go, I could not put him on my list. After a full season in 2014, we will be able to get a grasp at what he truly has to offer. I could see him starting off next season in Peoria or even Palm Beach. Special thanks goes out to Matt Sebek and the Rookies App for providing me with a platform to make the virtual baseball cards for each player on my list. Make sure to check out the App in the AppStore! On September 24th, 2013, young Cardinals’ phenom, Michael Wacha, flashed brilliance that was noticed by baseball fans around the country. He came within one out of a no-hitter, and his final stat line was 8 and two-thirds innings pitched, ONE hit, zero earned runs, two walks, and career-high nine strikeouts. I would say that this was a statement performance from the 22-year-old Wacha. 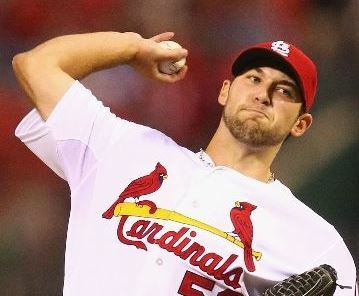 Though he is just one year from being drafted by Dan Kantrovitz and the Cardinals, Wacha has proven that he has the repertoire and makeup to be an impact starting pitcher right now and for many years to come. 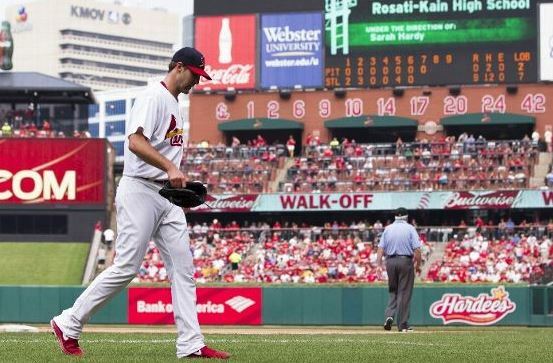 So what made Wacha so dominant on Tuesday night against the Nationals? I had an inkling as to why, but I checked out BrooksBaseball.net’s PITCHf/x tool to make sure the numbers backed up my theory before I decided to write about it. However, before we get into that, let’s quickly go over his pitch counts. He threw 92 fastballs, 17 changeups, and just 3 curveballs for a grand total of 112 pitches. Wacha is 6’6″ and basically towers over opposing hitters when he is out there on the mound. To go along with his frame, his overhand pitching motion (pictured to the right) adds, on average, around four more inches to his release point. 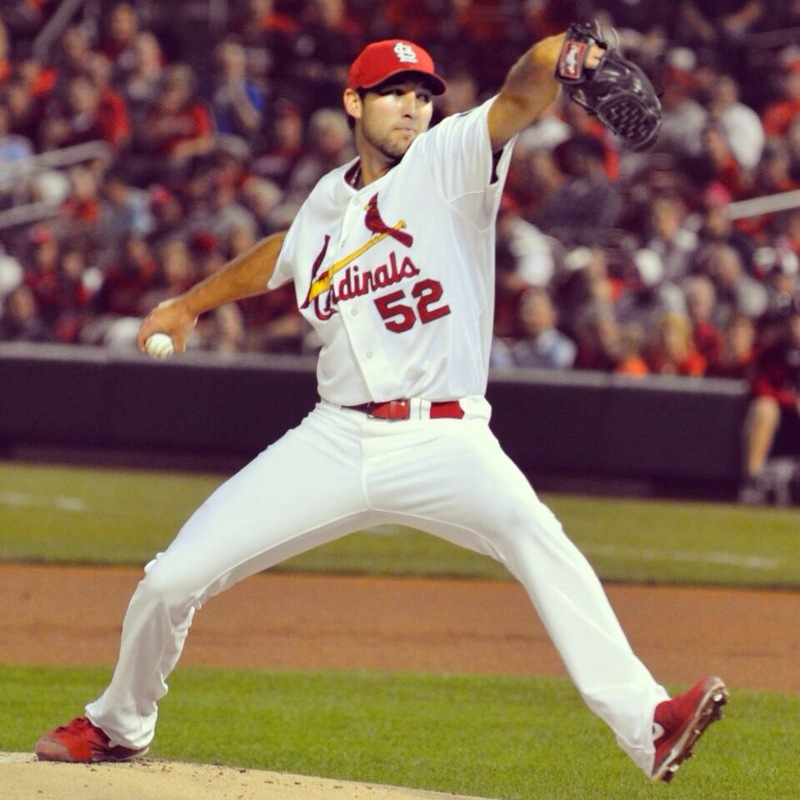 In the one-hitter, Wacha’s release point averaged at 6’10.7″. A release point like this allows him to put an incredible amount of downward plane on his pitches–making hitting even harder than it already is in the big leagues. So…what else? Washington hitters had pretty good odds that they were going to see a straight pitch last night, with 97.3% of Wacha’s pitches being fastballs and changeups. Yet, he was able to record 10 whiffs–five on his fastball and five on his changeup. Thus, if Washington hitters knew what was coming–something straight–why were they unable to hit it? Here’s where my theory comes into play. In order for a changeup to be a successful pitch, especially at the Major League level, the pitcher must be able to disguise it as if he were throwing a fastball. The slightest change in arm velocity or release point will likely be keyed on by hitters as the game goes along. Well, to be honest, Washington hitters had absolutely no clue what was coming after all. Sure, they knew it was going to be straight, but one pitch averaged over 95 MPH while the other averaged just under 88 MPH. The seven MPH difference between the pitches is more than enough to keep hitters from making solid contact. So, why did they have no clue what was coming? HIS RELEASE POINT! Wacha’s release point on his fastball last night averaged at 6’11.5″. His changeup release point averaged at 6’10.9″. This is a difference of just 0.6 inches! For perspective, 0.6 inches is less than the diameter of a penny. Thus, there is no way that a batter standing 60.5 feet away could pick up on this difference. This left batters with basically one option at the plate–guess. UPDATE: I have received many comments saying that his changeup has late movement/screwball action, and this is most definitely true. The numbers show that his changeup averaged a little over 7 inches of horizontal movement per pitch last night. However, my main point was that the his changeup looks straight (like a fastball) out of his hand, and the movement does not occur until its closer to home plate. Yet, even with the movement of this pitch, if his release point was a little off (which it was not), hitters could pick up on the differences and adjust accordingly. Wacha will be in the playoff rotation. 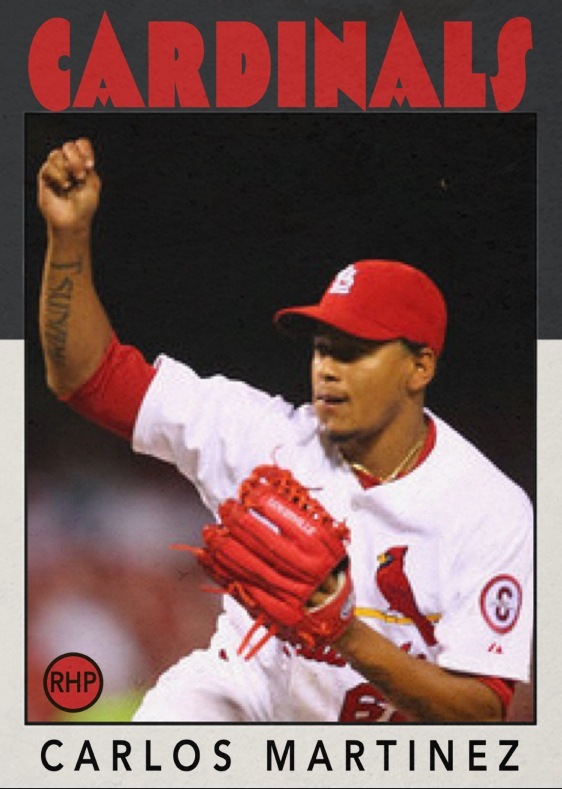 He has been the best starter for the Cardinals in September–33.1 innings pitched, 28 strikeouts, and a 1.72 ERA. He has been so good that I could even see him being the #3 starter (Sorry, Joe Kelly). As I said in an earlier blog post, “swing-and-miss” pitchers are crucial in the playoffs since runs always seem to come at a premium. The numbers show that Wacha is much more of a “swing-and-miss” pitcher than Kelly. In the long-run, Wacha will have to keep developing his breaking ball if he wants to become a true top-end of the rotation pitcher, but who can really argue with his performance thus far? Let’s save the breaking ball development for the off-season. As fans, we need to enjoy Wacha’s incredible, old-fashioned 1-2 punch (fastball-changeup) for the rest of 2013. What’s up with Edward Mujica? 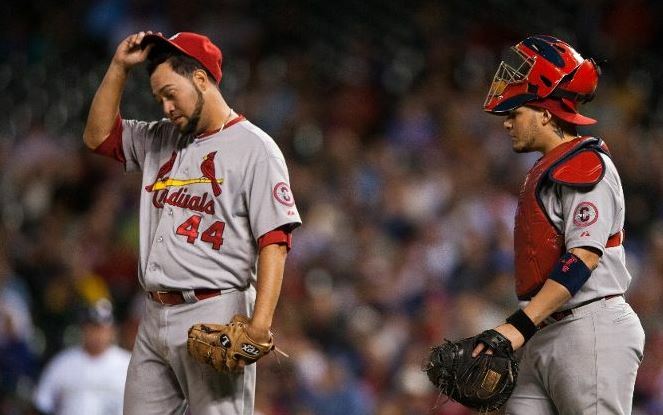 Something is wrong with Edward Mujica, and it needs to be corrected if the St. Louis Cardinals plan on making a deep run in the playoffs. Sure, Mujica successfully nailed down last night’s save to give the Cardinals a two-game lead in the Central, but he did not do it very convincingly. After a lead-off single, sac bunt, fly out, intentional walk, infield single, Mujica found himself with the bases loaded and the winning run on second base. Thankfully, he was able to blow a 94.5 MPH fastball by the slowed bat of Todd Helton for the third out. This is an alarming statistic for a pitcher who has a WHIP of 0.89 on the season. I realize that Mujica’s main pitch is his devastating splitter, and it is tailored towards contact. Averages show that all “contact pitchers” eventually have to allow hits, but don’t forget that this pitch has a 19.5 whiff percentage in 2013 and has helped him record 45 strikeouts in just under 63 innings. Thus, he’s really not a pure “contact pitcher,” he just does not get nearly as many strikeouts as pitchers like Trevor Rosenthal or Aroldis Chapman. I decided to break down these five outings (two hits allowed per outing) further to see if I could spot anything of note. In each of the five outings, Mujica allowed the lead-off hitter to reach base via a double (vs. Pittsburgh), single (vs. Cincinnati), double (vs. Milwaukee), single (vs. Seattle), and single (vs. Colorado). Allowing the lead-off hitter to reach can spell disaster for a late-inning reliever, especially in one-run ballgames. From April 13th through June 19th, Mujica had 26 appearances and recorded 21 straight saves. 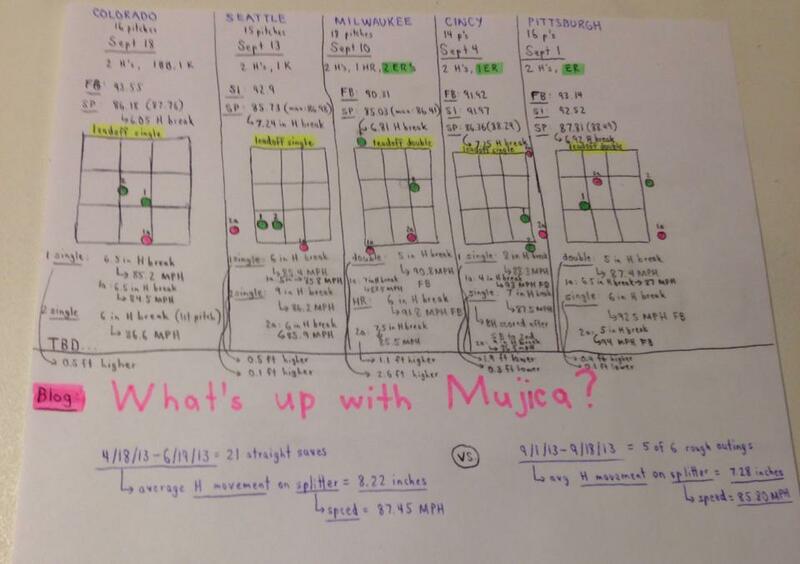 During that span, Mujica had 15 appearances (57.7%) in which he did not allow a single hit. For comparison and disregarding the one-out outing on September 6th, Mujica has not had a hit-less outing since August 26th–7 appearances ago. If you look closely (probably not possible given the pixelation of the image), of the 10 hits he has allowed, seven of them have come against his splitter and three against his fastball. Only four of the hits have come on pitches near the middle of the strike zone–with two of them being the singles last night by the Rockies. I also noticed that he is still setting up his pitches well by changing the hitters’ eye levels on the pitches prior to the hits. Thus, Mujica is still pitching well in my opinion–changing speeds, locating well, and changing hitters’ eye levels throughout the at-bats. Well, during that span in which he had 21 straight saves, Mujica’s splitter averaged 87.45 MPH and its average horizontal movement was 8.22 inches (tailing action). Over his last six outings, his splitter is averaging just 85.8 MPH and its horizontal movement has been averaging 7.28 inches. In these appearances, his splitter is averaging 1.65 MPH slower and is tailing 0.94 inches less. This may not seem like much, but for a “contact pitcher,” this is a big deal. 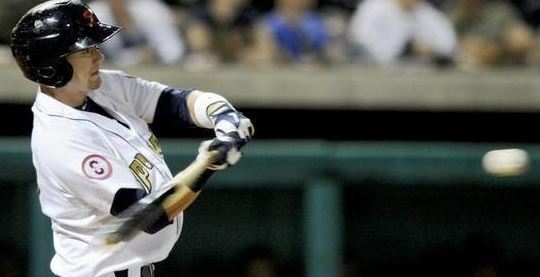 He relies on that extra bit of movement to lead to less solid contact from the hitter. Also, the slower speeds can lead to hitters being able to sit back and read the pitch’s break before taking their swings. It’s a long season, and he has the second most innings pitched by a Cardinals reliever behind Rosenthal. The numbers above show that he is either tiring or has a lingering injury that is affecting his performance. If the Cardinals want to make a legitimate run at their 12th World Series title, they need Mujica to return to the form he was in earlier this season. This may not be possible given the innings he has logged, but he at least needs to get closer than where he is at right now. Allowing two hits per outing in the 9th inning of playoff games is simply not going to cut it. Thus, he either needs to get rest now or figure out if there is some mechanical flaw in his motion. Like I said earlier, he is still pitching well mentally and is locating his pitches, hitters are just being fooled like they were earlier in the season. In short, if Mujica is unable to figure out what is going on, the Cardinals need to insert Rosenthal into the closer role. Mujica is one of my favorite Cardinals, but if he cannot figure out what is going on, the team needs to remove him from such a crucial role. Back on May 29th of this season, I wrote an article highlighting why I thought Matt Carpenter deserved to be considered for the MVP award. Sure, it was only 200 or so at-bats into his season at the time, but nearly 400 at-bats later, he has kept up this MVP-like pace at the plate. In 573 at-bats, Carpenter is hitting .319 (5th in the NL) with a .390 on-base percentage (8th in the NL). Of his 183 hits, 50 of them have been doubles (most in NL), and seven have been triples (5th in the NL). He has 67 extra-base hits on the season–just one behind Reds slugger, Jay Bruce. He leads the NL in runs scored with 116 (next closest has 101), and lastly, he is first among NL lead-off hitters with 72 RBIs. To provide a lasting impression on voters for his 2013 MVP campaign, Carpenter is having a torrid September–hitting .373 with seven doubles and two triples thus far. He is on pace for 199 hits–the most by a Cardinals player since Albert Pujols in 2003. 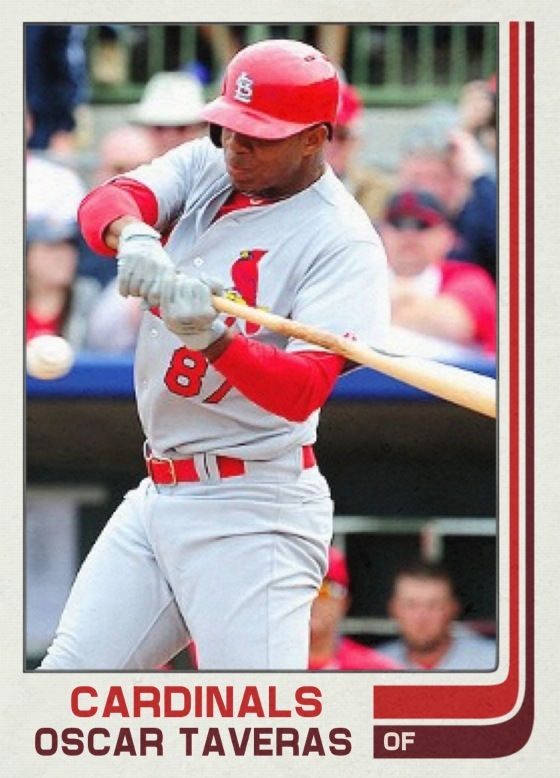 Oh, and he also holds the record most hits in a season at the current Busch Stadium with 109 and counting. Let’s take a quick look at two sabermetric stats–WAR and wRC+. Carpenter is third in the NL with 6.2 WAR–second is Carlos Gomez with 6.3 and first is Andrew McCutchen with 7.5. He is tied for seventh with Freddie Freeman of the Braves with a wRC+ of 146 (anything above 120 is considered “excellent”). Carpenter has been one of the most patient hitters in the NL in 2013. He is averaging 4.09 pitches per plate appearance–sixth most in the NL. One of the main reasons he has been able to be so successful with this patient approach is his ability to hit when behind in the count. Carpenter has had 112 at-bats (19.5% of his ABs) this season with an 0-2 count. One would think this would largely favor the pitcher. This is not the case with Carpenter. In those at-bats, he is hitting .330 with 13 doubles, three home runs, and 11 RBIs. 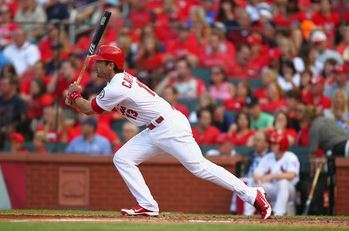 After a 1-2 count, another count that largely favors the pitcher, Carpenter is hitting .306 with 15 doubles, four home runs, and 18 RBIs. For perspective, I compared Carpenter’s average after 0-2 counts to NL MVP front-runner, Andrew McCutchen, to see just how good he has been. Well, in nearly the same amount of at-bats, McCutchen is hitting .171 after 0-2 counts–159 points lower than Carpenter. After a 1-2 count, McCutchen is hitting .234–72 points lower than Carp. Have you ever found yourself rewinding the DVR to take a look at Carpenter’s swing after one of his doubles and said, “Man, that swings looks awfully familiar…” Well, if you have, I have the answer for you in the form of a .GIF from Chris O’Leary, a hitting mechanics expert. Yep, that is St. Louis native and Phillies slugger, Ryan Howard. O’Leary had been following Carpenter since 2010 and thought so highly of his swing that he took the time to compare it to other major league hitters. In 2012, O’Leary created the above .GIF and had this to say about Carpenter, “I think he has significant potential.” Yes, Mr. O’Leary, you were right, Carpenter clearly has “significant potential.” Somebody needs to give this guy a raise. He had it figured out that Carpenter was going to be a successful big league hitter long before any of us. 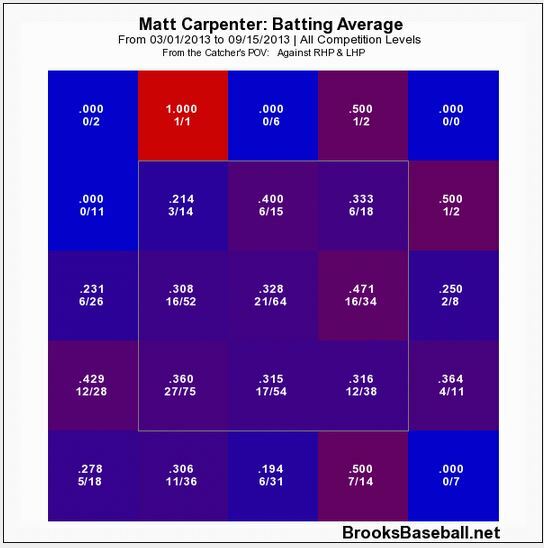 The one major thing different between their two swings is that Carpenter has a lot less holes in his–as shown by the heat-map above and the following statistic. Howard is averaging just over 140 strikeouts per season in his career while Carpenter is on pace for just 96 this season. Will Carpenter win the NL MVP? Most likely not. The “sexier” pick right now is McCutchen who has helped provide Pittsburgh with their first winning season since 1992 (I was only two years old!). One could argue (including myself earlier in the season) that Yadier Molina is deserving as well–considering he has handled a rookie-dominated pitching staff and the fact that the team struggled with him on the disabled list. However, Carpenter’s performance this season has definitely put him in the conversation. Just think if more runners had been on for his barrage of doubles this season. He would be nearing 100 RBIs from the lead-off spot–something that has not been done since Jacoby Ellsbury in 2011 who had 97 RBIs while batting lead-off (105 RBIs total). If we want to break down the name of the award–Most Valuable Player–a little more, then it is clear who is most deserving. It is apparent that both Carpenter and McCutchen have been of utmost value to the success of their respective teams. However, Carpenter comes at a price of just $504,000 this season while McCutchen is making $4.5 million. After looking at those contracts, who really is more valuable? I know that contracts are not taken into consideration when it comes to the voting, I just like bringing that up. P.S. I know I wrote about how Yadier Molina was the MVP of the first-half, but his second-half injury hurt his case for the overall MVP in my opinion. As most of you already know, I picked up sports blogging for the first time this summer. I enjoyed providing you with my take on various topics, but my favorite part had to be the interviews I had with a handful of Cardinal prospects. All four of the players I interviewed can be considered top prospects for the organization, yet they were more than happy to help me out with my blog. This speaks volumes about the players that the Cardinals draft. It shows that the organization is not only drafting high quality players, but high quality men as well. Now that the 2013 minor league regular seasons are over, let’s take a look back at the seasons of the four players that I was lucky enough to interview this summer. In 2013, Ramsey proved that his future is bright for the Cardinals. He started in High-A (Palm Beach), saw the majority of his time in Double-A (Springfield), and even played in a game for Triple-A (Memphis) late in the season. One thing that was a pleasant surprise for me was his power. I always knew he had gap-to-gap power, but I never envisioned him hitting 16 home runs in a season. It will be nice to have a bat with a little bit of pop in the outfield in the future because Matt Holliday and Carlos Beltran aren’t getting any younger. The most incredible statistic for Ramsey in 2013 was his on-base percentage. At .373 and the fact that he drew 51 walks this season, it shows that he has a really good grasp of the strikezone–something fans will enjoy when he gets the call to the big league level. Also, for those wondering, his defense was above-average in center field, and his arm is one of the better outfield arms in the entire organization. Look for the 2012 first-round draft pick to be playing for the Triple-A Memphis Redbirds next season, and if things go well there, he could see time in the big leagues by the end of 2014. Link to my article on Ramsey here. Sure, Swagerty’s statistics don’t look very promising, but that is not the most important part of this season for him. The fact of the matter is that a lot of his work was done outside of the game. He had Tommy John surgery on an injured elbow/forearm in 2012, and he spent the majority of the season working his way back into throwing form. He saw limited game action in July, but the organization wanted to be cautious with their 2010 second-round draft pick. Thus, look for Swagerty, who was considered the Cardinals #7 prospect when healthy, to have a much better 2014 if he is able to fully recover by then. He has the stuff to make the big leagues, it is just a question whether or not his health will cooperate. Link to my article on Swagerty here. Heyer was probably my favorite prospect to follow this season. He started out with the Peoria Chiefs but was quickly promoted to High-A Palm Beach. Once in High-A, Heyer had some struggles, and the former NCAA Champion (while at the University of Arizona) was not pitching up to his true ability. Link to my article on Heyer here. 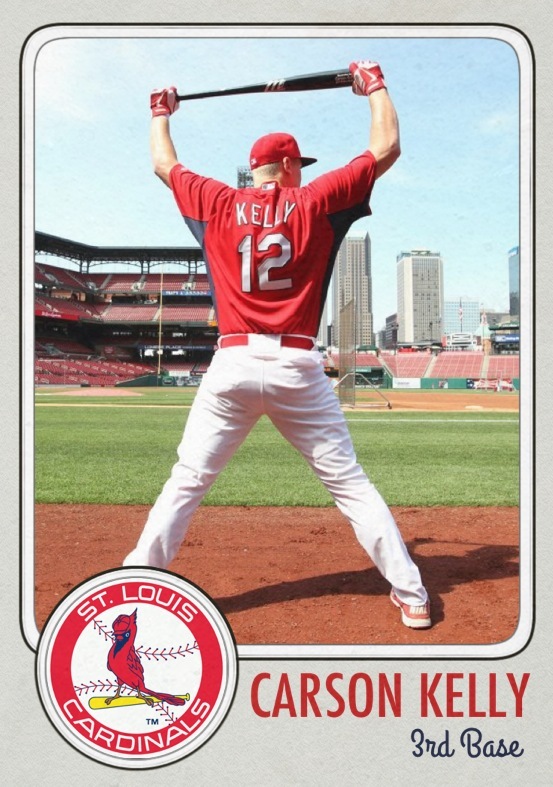 Kelly, just 19 years old, started out 2013 on the Peoria Chiefs. He struggled to find his groove there, which is not entirely unexpected considering he was still 18 years old at the time. 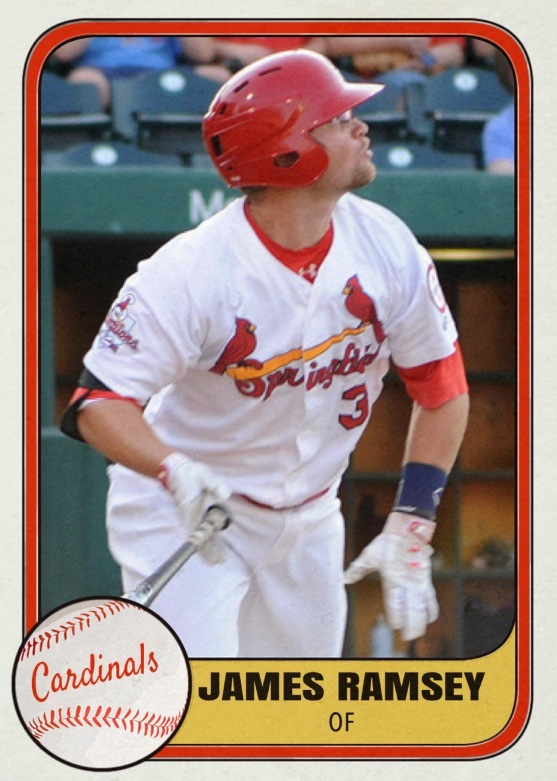 Thus, the Cardinals assigned him to the Class A Short-Season State College Spikes to finish out 2013. The 2012 second-round pick took his lackluster performance in Peoria as a learning experience and developed into a more comfortable player for State College. As the season went along, his confidence kept growing as shown by his .301 batting average in July and August. Kelly, a top third-base prospect, has a bright future, and I could see him starting 2014 back in Peoria or possibly even Palm Beach. Either way, he is still just 19 years old and has plenty of time to develop his skills in the minor leagues. He is a prospect to watch who has that sweet swing that will likely make some noise in St. Louis someday. Link to my article on Kelly here. Lastly, thank you so much to Ramsey, Swagerty, Heyer, and Kelly for answering my questions this season. 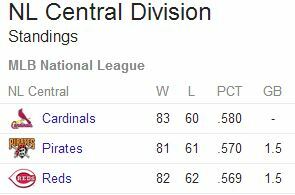 I look forward to seeing their progress next season as they take the next steps towards St. Louis.